Many of us preferred to stay in a private residence than in a public and crowded apartment, right? We consider some characteristics just to make this house a home. 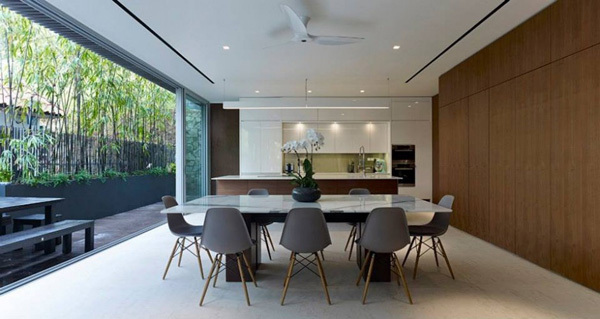 Now we will discover the remarkable style and design of this private residence seated in Singapore, Singapore. One of the most powerful designs of a New York based designers Ong&Ong, this house is completed efficiently in the year 2013. A contemporary architecture concepts inspired the designers to display how form and function works together to invent a comfortable home for a modern family of today. One great factor they consider is the functions of the location to complete its layout. 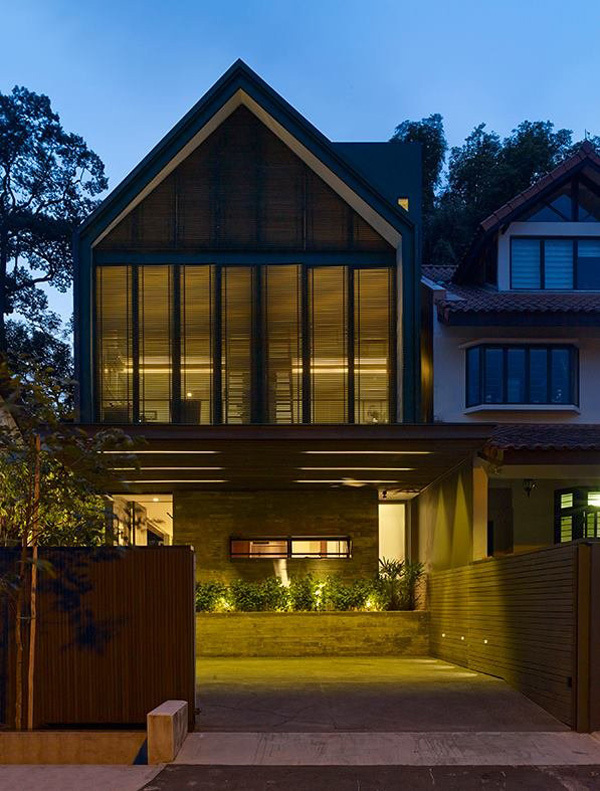 With a narrow front and a two-storey high retaining wall at the back, the designer realized to take the full advantage of it. Even the gable roof was able to make the building stand out from the other houses because of its exceptional layout. For the interior, the first floor is composed of the open-kitchen, dining area, study and service quarters. While the living room and the children’s rooms are located on the second floor. 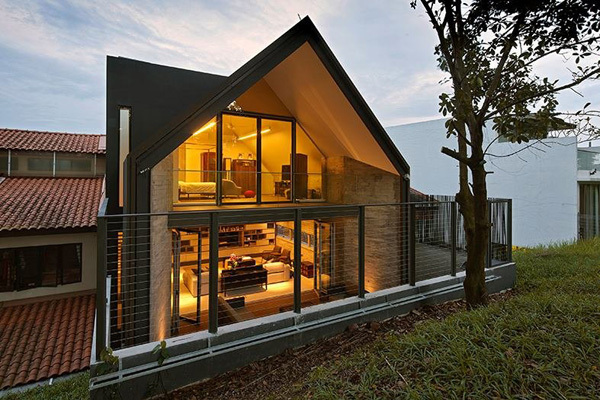 Check the images below to experience the sophistication of this Y-House. The unique shape and style of the house building unveils its exceptional features. 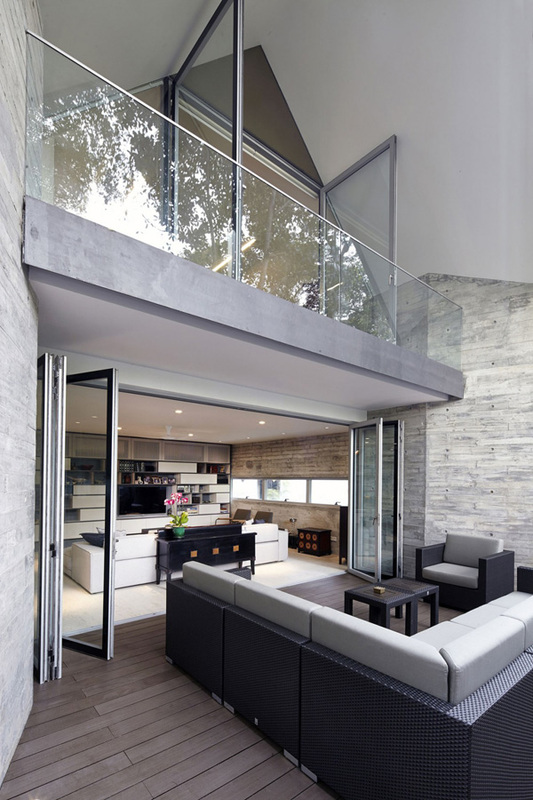 The living area as well as the bedroom is visibly seen here because of the glass materials applied in its walls. 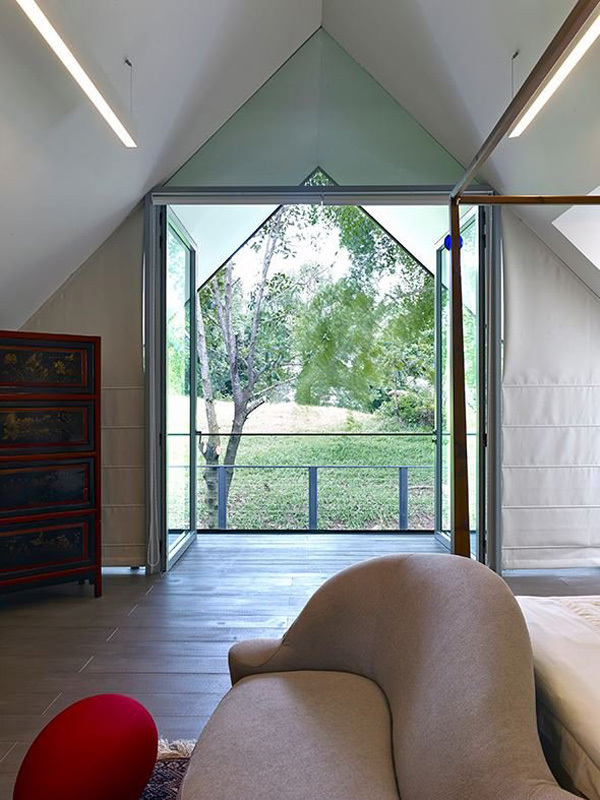 Even the shape of the furniture are well planned to let the interior connect with the house building’s forms and shape. Here is one of the most comfortable areas in the house where the latest equipped appliances are set to make this relaxing area. Simple but modern dining set is prepared in this area for the client to still enjoy the garden. Here is the best spot in the interior where the client can take the full advantage of the panoramic views. 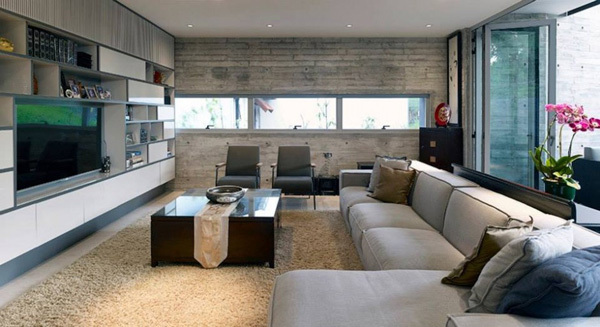 Shapes and lines are carefully combined to develop a modern look in this living room. 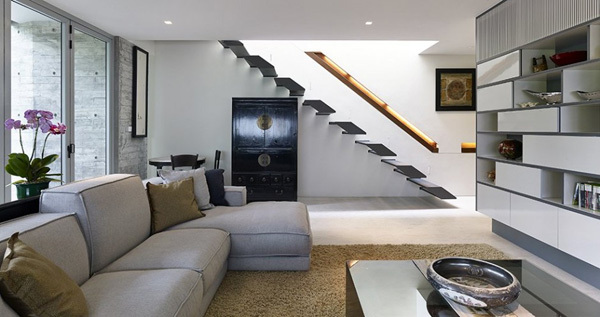 This continuous stairs allow the client to carefully explore the different areas of the house. 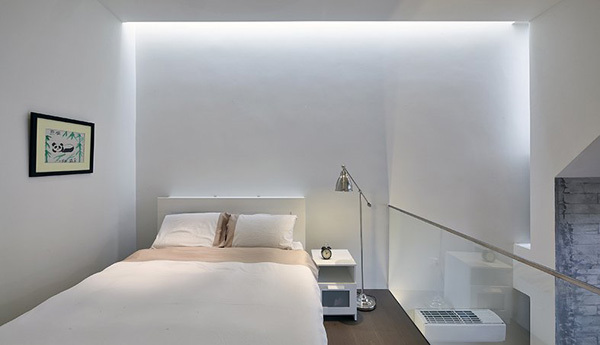 Dim lights are effective to make this bedroom spacious and clean. 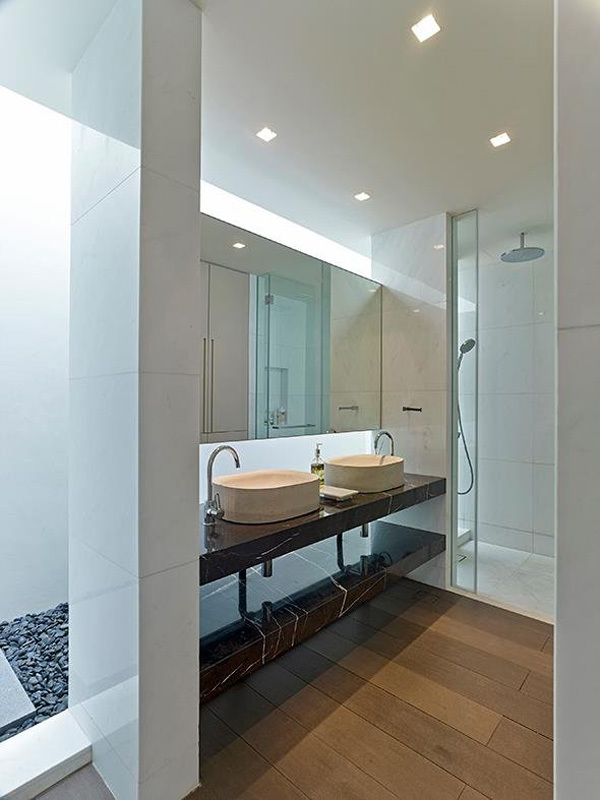 With the use of the lights in all over the bathroom the limited space secures all the demands of the client. The plants and lights here are very important to have a lively exterior. 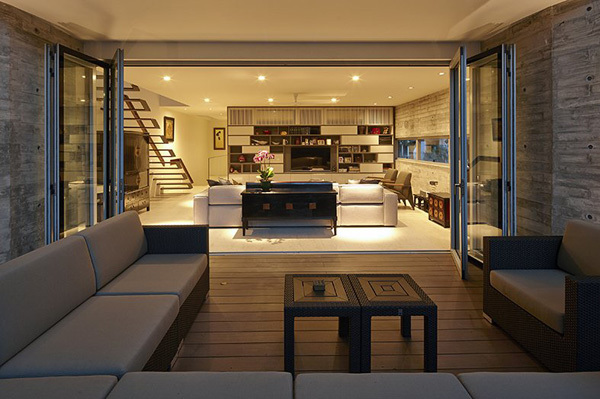 This comfortable space in the interior is also accessible through the terrace above it. 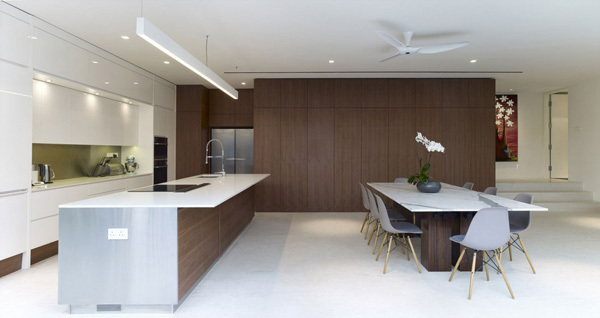 White, brown and grey are the three most effective color to have a contemporary kitchen-dining space. Incredible lines and figures can be seen in the interior especially in the morning. This area is considered to be not just the best but the most relaxing area in the house. 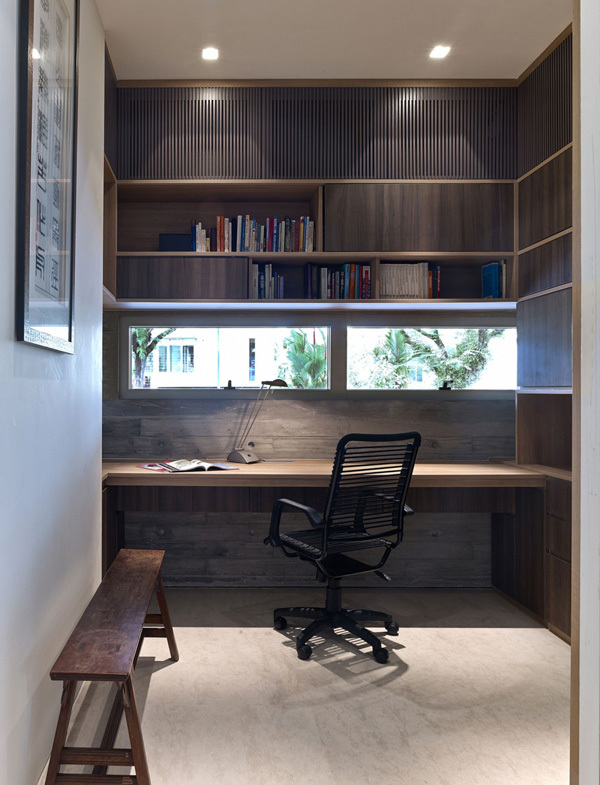 A small window in the limited space of this study area is enough to still experience the beauty of the nature outside. At night, the luxurious and great ambiance in the house is felt in this area. 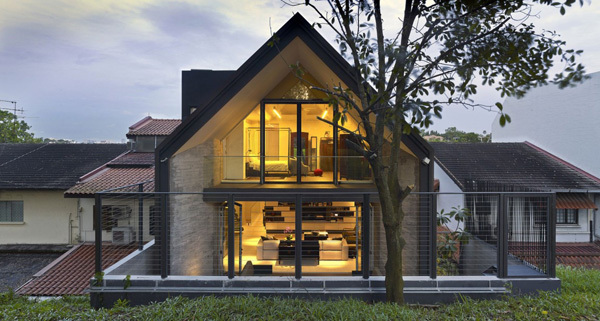 Combination of different shapes and dimensions of this house is well displayed here. 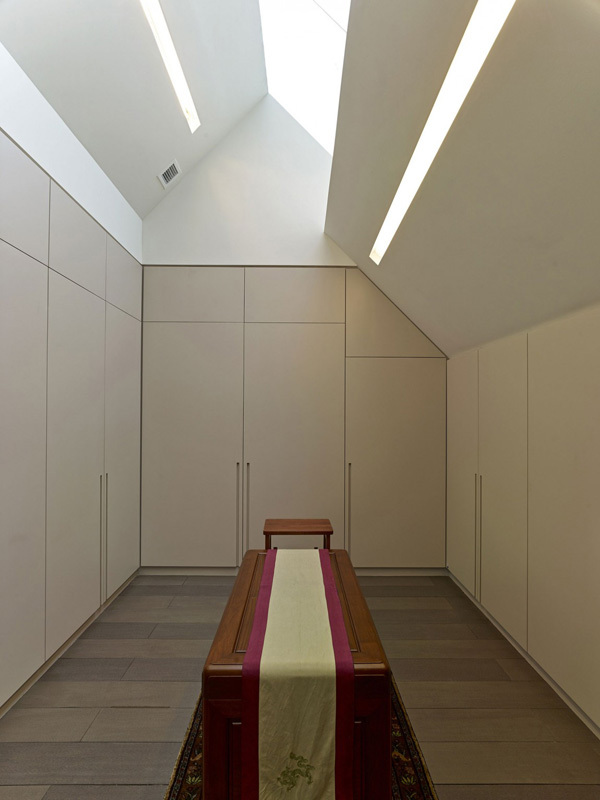 The comfortable area such as the master bedroom is located in the attic with an en-suite bathroom and a walk-in wardrobe. From the balcony, one can also enjoy the attractive scenes of the luxurious surroundings. 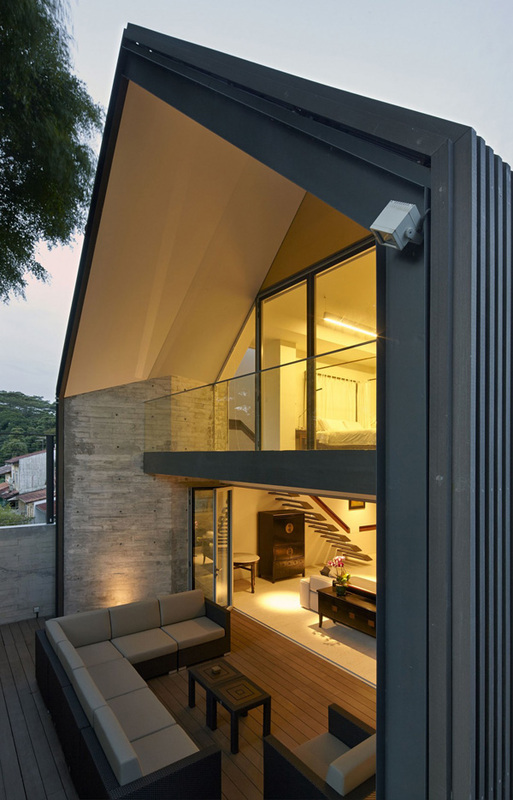 Thorough selection of construction materials were secured to complement with the minimalist architectural forms. 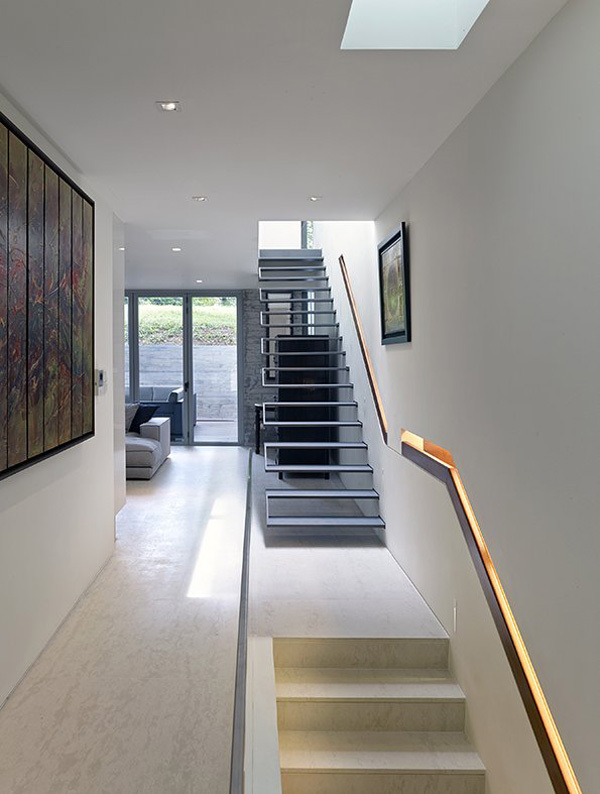 This is composed of wood cladding; beige limestone and fair faced concrete surfaces that are capable of providing the areas a modern yet comfortable impression. 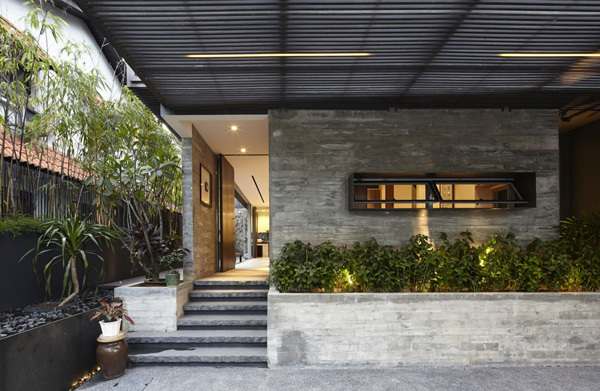 The Ong&Ong excellently designed and conceptualized the Y-House.